I always had fond memories of the Short Circuit films. It turns out those memories were almost entirely false. That’s not a statement about the quality of the films — I will get into that later. It’s that nearly everything I remember about the two films is false. I recently popped on the movie and was immediately lost. My memory of the movie was so faded that watching Short Circuit was like watching an almost entirely different film. A couple of days later, convinced that the film I associated with short circuit was actually Short Circuit 2, I was equally flumoxed to discover that that also was completely new to me. What I expected to be nostalgia quickly turned into disillusionment as I realized I retained nearly nothing about the two films. Granted, I was less than 10 years old and it was more than 25 years since I’d seen the two films, but to remember a completely different movie than either of the movies actually are; that’s a little disturbing. Getting past my memory crisis, the films also aren’t as good as I remember. The first one suffers some major issues; a love interest that comes out of nowhere, some odd pacing and an Indian character played by a white actor in blackface (Aziz Ansari has a fascinating piece talking to that actor today). Audiences in the 80s probably thought it was funny – today it’s so blatantly stereotypical that it’s outright distracting. It’s light on substance, and while Johnny Five’s antics can be amusing, I found myself looking at my phone on more than one occasion. The movie’s directors can’t seem to decide who it’s aimed at – the goofiness of it make it seem like light kids fare, but then there’s some strong language and adult humor – and not the Pixar innuendos the kids won’t get. Aly Sheedy is great, and Steve Guttenberg is present in all his eighties glory. It’s not bad, per se, just disappointing. The fake Indian character comes back as the star of Short Circuit 2, and despite the obvious issues with the character, Short Circuit 2 is actually a better movie, in my opinion. It’s better paced and deeper on an emotional level. When Johnny Five gets beat up, it’s hard not to wince. It actually made a list of top emotional movie scenes – and it’s not hard to see why. SC2 actually addressed the language issue of the first film, editing out swear words (in one scene “balls” is visibly replaced by another word, even though the actor can be seen mouthing “balls”). Micheal McKean is a great as a would-be business man/street hustler, and he and Fisher Stevens are great as the con man/naive genius combo. The Short Circuit series might not be as great as I remember (or at all what I remember for that matter) but I am glad I watched them. I’ve never experienced that kind of film amnesia and I’m wondering if other films will turn out similar (I’m now a little afraid/curious to check out Flight of the Navigator). 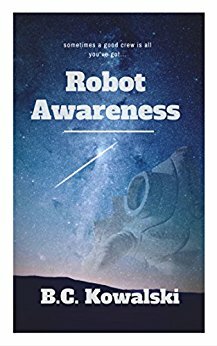 Next Robot Awareness Part III coming in time for Christmas!